In the last months Microsoft announced the opening of new data centers for Dynamics CRM Online in India and Canada. Visual Studio 2015 is now available and inside the new features and improvements there is one that I like very much: Shared Projects. A Shared Project is intended to share easily the code between different platforms. For C# projects this was already possible using (portable) class libraries and adding the assembly to the main project references. 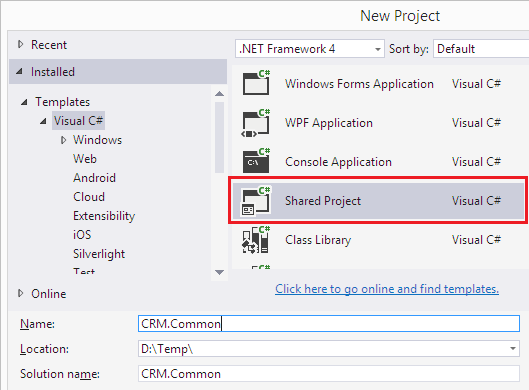 Which is the big advantage of Shared Projects for a Dynamics CRM developer? With Shared Projects the code is NOT compiled to a separate assembly but directly inside the main assembly of your project. 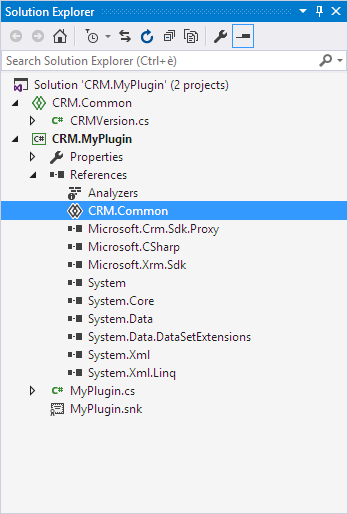 This is can be very useful for Plugin and Custom Workflow Activity development, because now we can create a common library with CRM methods to be used inside our plugins WITHOUT the need to use ILMerge for creating a single assembly in order to be registered inside Dynamics CRM. Shared Projects can be very useful for Dynamics CRM development because will definitely improve the quality and the reuse of the code. Yesterday Microsoft released the new iOS App for Dynamics CRM (iTunes link). The app only works with CRM versions 7.1 and higher, this means currently can be used only with CRM Online instances that received the Update 1. Note: the script is not called when a new record is created. When we set up Field Level Security for a field we can assign three different privileges (Read, Update, Write) to the users. This method returns an object with three boolean properties: canRead, canUpdate, canCreate. We can use these properties in combination with the forEach method of attributes and controls collections in order to dynamically hide the fields. 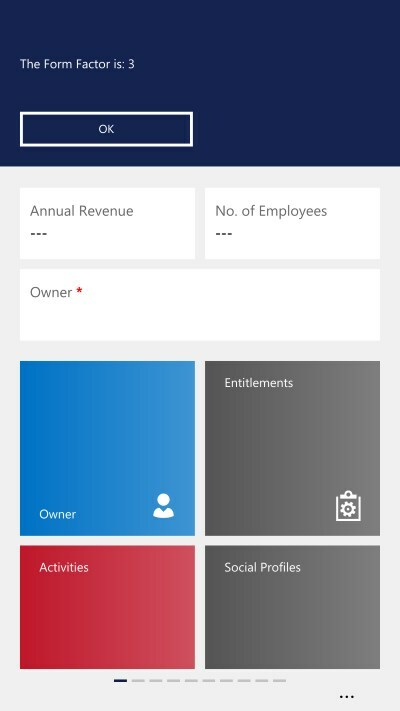 The Dynamics CRM 2015 Online Update 1 introduced a new feature called "Themes" to customize some aspects of the Dynamics CRM User Interface. Because it's necessary every time to preview the changes in order to see how CRM will look like, I created a theme generator with a real time preview. It's also possible to download the theme in order to be imported inside CRM. Note: the content of this post is similar to this post from Dave Berry but I wanted to approach the same argument with some example code and tips. 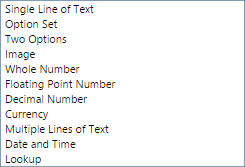 Except for "Single Line of Text" and "Multiple Lines of Text" (both use string), each one uses a different underline data type in .NET, some of these data types are nullable, some are not. What means nullable and why we need to care about this? Let's start with an example: In our CRM we have two records, the first record has all the fields filled with a value, in the second one all the fields are empty. When we use GetAttributeValue and there is a value, the method (fairly) returns the value. But what happens with our empty record? The response is "depends". In this case, if the value is null (for a Boolean/Two Options field means that no value is set) the first variable will contains false, the second will contains null. For the types that can't hold null we need to ask ourselves: "The default value is enough for the requirement?" but if we are doing a multiplication we need to skip the null values, so we use int? otherwise with a null value our totalMulty variable will be 0. The combination of the nullable form and the GetValueOrDefault can be useful in some scenarios. Let's say that we need to do a data migration to an external system, but if the source decimal Quantity is null, the target decimal Quantity must be -1. In this way we deal automatically the null values and they are ready for the target system. Now you are a Dynamics CRM True Survivor! 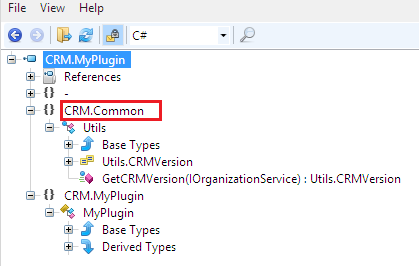 CRM 2011 introduced a very easy way to connect to Dynamics CRM instances: the Simplified Connection (MSDN: https://msdn.microsoft.com/en-us/library/gg695810.aspx). Basically it's necessary to build a connection string instead of dealing with the specific deployment type (OnPremise, IFD or Online). The downside of using a Simplified Connection is its weakness management of passwords containing special characters like double quotes, single quotes, ampersands. Of course this will not work if the password contains the placeholder as well, so it's better to choose a long placeholder. When the password is stored inside the app/web.config it's necessary to deal with another problem, the case that our password contains XML special characters (mostly double quotes) because this file is an XML. The result for the password ;a''b"c'123 (note the double quote between b and c that will create problems if not encoded) will be ;a&apos;&apos;bc&apos;123, a valid string to be written inside the app/web.config. One limit of the OData endpoint is that the response can only include up to 50 records, so if your result set has more records it's necessary to reiterate the request using the url inside the __next property contained inside the returned object. Japan Datacenter Open for Business: Now Serving Japanese CRM Online Customers. The Australia Data Center is also operative and available for companies from Australia, New Zealand and Fiji. Today I was working on a plugin and one of the requirements was a call to a web service passing some POST parameters, nothing complicated but I want to share part of the process. Because I was inside a Sandbox plugin I couldn't use the Newtonsoft.Json library and I didn't want to waste time trying to merge it inside my plugin. A bit longer code but compatible with Sandbox and CRM Online. The exams can be already scheduled and until 31 May 2015 there is also the Second Shot offer, meaning that you can retake the exam for free if you didn't pass the first time. This works because Early Bound classes inherit from the Entity class. But how we can get the Id of the records when we use the OrganizationServiceContext in combination with the AddObject and SaveChanges methods? // WORST CODE EVER, DON'T DO THIS! The reason was to avoid parsing the results of the SaveChanges method in order to get the Id. SaveChanges doesn't return void but a SaveChangesResultCollection object with the details of the save operation. MSDN Documentation (at least at the time I discover this) isn't so clear explaining this behavior, hope it helps! Dynamics CRM allows the users to create personal views (using Advanced Find) and eventually share them with other users. In order to retrieve the saved views we can use FetchXml or a QueryExpression, but the result will always contain only the saved views of the user executing the query. If John executes a query to return all the UserQuery records, the result will contain only his Account personal view, despite his System Administrator role. What if we want to retrieve all the saved views for all the users? A possibility is to impersonate each CRM user, run the query and combine the results. To implement this solution we rely on the CallerId property of the OrganizationServiceProxy object in combination with the "Act on Behalf of Another User" privilege. The OrganizationServiceProxy gives us the possibility to impersonate the user by code, the "Act on Behalf of Another User" privilege is required to allow this impersonation. I am a Microsoft Dynamics CRM MVP! Yesterday (1 January 2015) I received the Microsoft MVP Award for my contributions to the Dynamics CRM Community. It is a great honor for me to be part of the MVP family. Andrii Butenko: few months after I joined MSDN he sent me this email: “Hello Guido! Found you at MS Forums, checked your blog! Keep up good work!”. Everybody knows Andrii and his contributions so this message means a lot to me. Jukka Niiranen: I met Jukka in person during a very cold winter, but previously he helped me by email when I was searching a job in Finland. At the time he wasn’t yet an MVP but what he did for me is only a small example of how he likes to help other community members. Scott Durow, Jason Lattimer and Tanguy Touzard: Because I am a developer their tools and contributions helped me very much during these years. In addition, many of my forum answers are “use the tool ____ from Scott/Jason/Tanguy” and this shows how important they are to the Dynamics CRM Community.